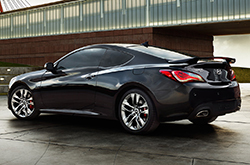 The 2016 Hyundai Genesis is here and primarily unchanged for the new model year. Due to its redesign last year, Hyundai decided not to make any heavy revisions to the sedan this year, but still went through with a few modifications. New standard and optional features can be found throughout the lineup and the Genesis 5.0 model is now available solely in the Ultimate trim. Complete with a wide variety of excellent equipment, the Ultimate trim is ideal for buyers who want to take advantage of a range of top-notch components. To get a rundown of the model's features and discover info about the sedan's powertrain options, look over our 2016 Hyundai Genesis review below. 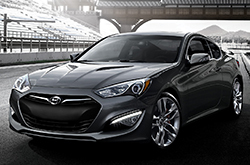 Delivering 311 horsepower and 293 lb.-ft. of torque, a 3.8L V6 engine is equipped on all Genesis 3.8 models this year. It comes matched an eight-speed automatic on both all-wheel drive and rear-wheel drive variants. On the Genesis 5.0, a 5.0L V8 engine is outfitted on the vehicle that can generate 420 horsepower and 383 lb.-ft. of torque. With this powerplant, the Genesis 5.0 can go from 0 to 60 mph in 5.3 seconds, while the V6-equipped 3.8 AWD model can go from 0 to 60 mph in 6.6 seconds. If you're looking to purchase a 2016 Hyundai Genesis in Phoenix that is both fast and reliable, the 5.0 model is the best pick for you. Both the 3.8 and 5.0 Genesis models each receive slight modifications this year. LED daytime running lamps and HID headlights are now standard on the 2016 Hyundai Genesis in Phoenix, while the 3.8 models now offer optional foglights. The biggest change on the Genesis 5.0 this year is that it is now only available in one trim: the fully equipped Ultimate. Complete with 19-inch alloy wheels, matte wood and aluminum trim, illuminated door sill plates, a 17-speaker surround-sound system, a revised navigation system, a power trunk lid, a center console multifunction controller and a color head-up windshield display, to name a few, the Genesis 5.0 is a great choice for today's buyers. Need more details about the new Genesis? Keep browsing our 2016 Hyundai Genesis review below. If you've ever thought about purchasing vehicles like the 2016 Lexus IS 350, Audi A4, Infiniti Q50, Mercedes Benz E550 and the BMW 5 Series in Carrollton, compare Hyundai's new 2016 Genesis first; we're positive that it's the right fit for you. The Genesis's advanced incar technologies and inexpensive cost are just a few of the noteworthy attributes that shoppers will be thankful for. Compare its price against the aforestated list of vehicles and you'll undoubtedly see that it's a truly outstanding value, which makes it a top choice for many Carrollton Hyundai customers. Find even more useful facts; see our quick-facts list for the Genesis - bullets underneath this text. If you have further questions about the 2016 Hyundai Genesis after reading our review, please contact Van Hyundai today. 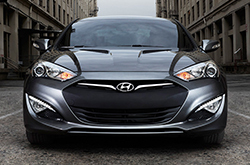 There is a reason why we are one of the Carrollton area's reputable Hyundai franchises. Just one reason is that we provide reviews composed by well-versed automotive writers. To make good decisions when it comes to your next Hyundai purchase, don't guess! Each summary is jammed with data, including info about vehicle features, in an easy-to-understand clear format. 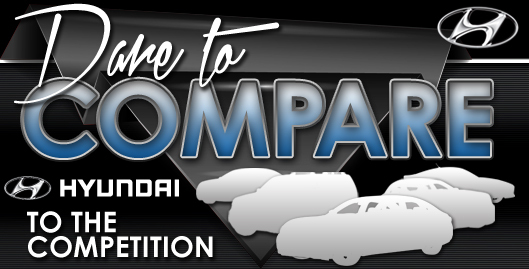 Want to read other Hyundai car comparisons and reviews? Then visit our digital research library, where you'll learn about other new vehicles on the lot at Van Hyundai.